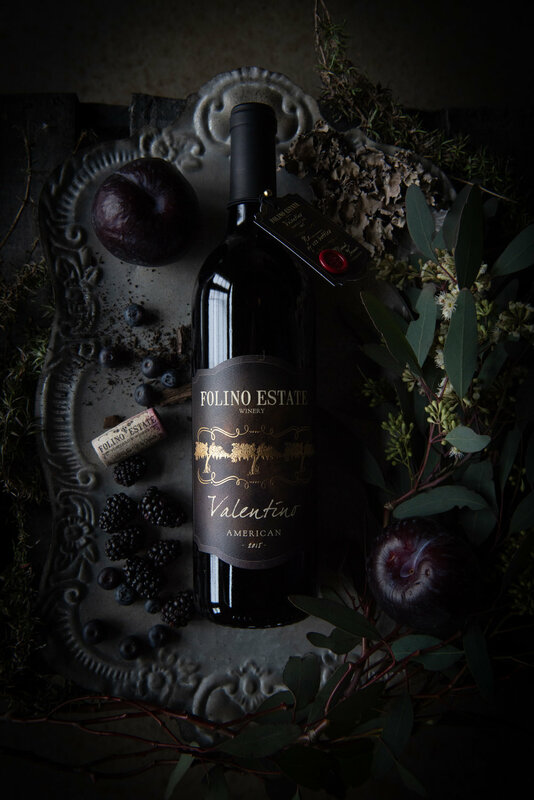 This Spring we had the awesome opportunity to design wine labels for a new collection of wines that Folino Estate Winery in Kutztown was releasing. 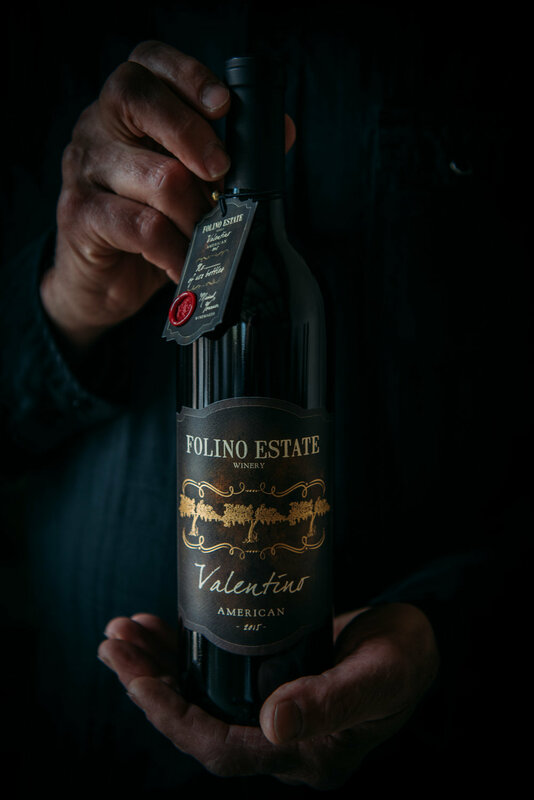 We were tasked with designing something that looked elegant, but still has that rustic look and winemaker's touch. The finished label has the texture of parchment, embossed details and finished with a gold foil stamp. 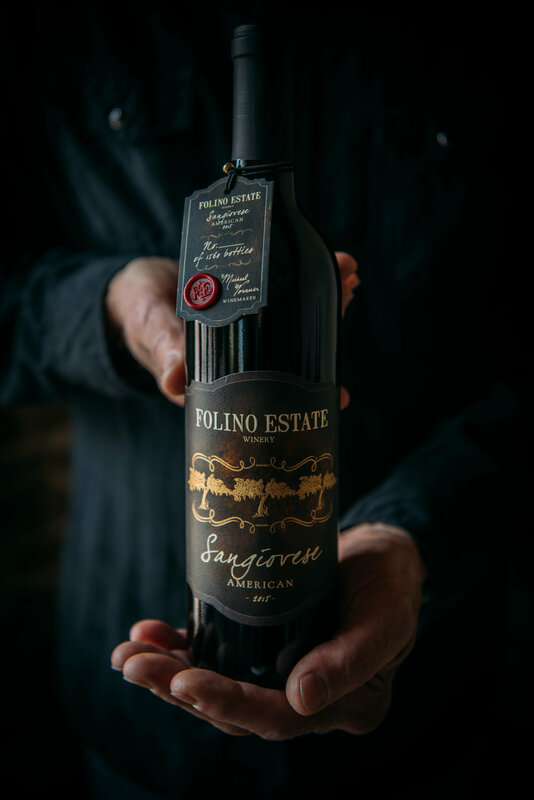 To accompany the label, and emphasize the exclusivity of these wines, the bottled is adorned with a die-cut tag with a wax seal and the bottle number written by the winemaker himself. 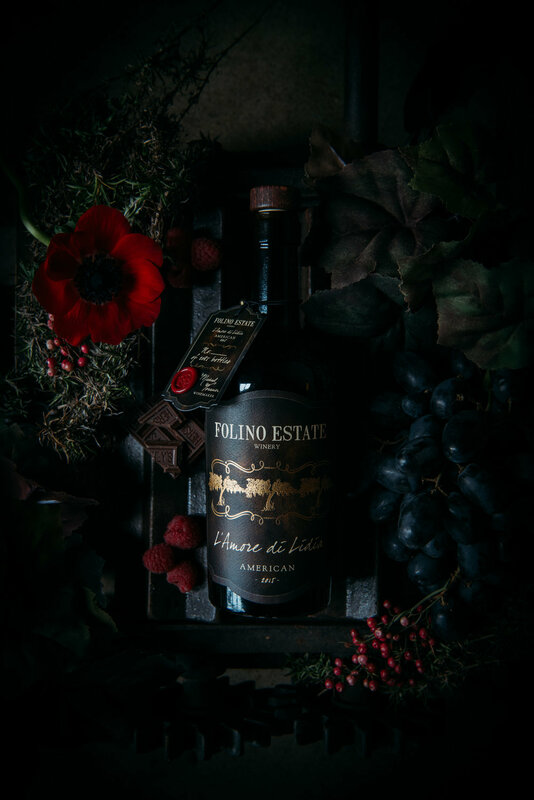 After all the bottles were labeled, it was time to collaborate with owner and styling extraordinaire Andrea Folino to create a photo shoot to promote the new collection. We wanted to evoke a dark and organic feel with these images. Check out the finished product below. This project was so much fun... from concept to creation. 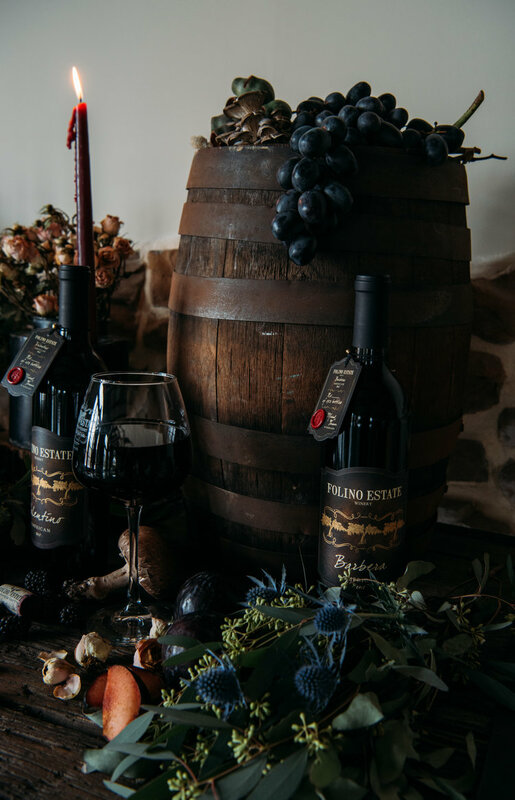 "The Black Label Collection features handcrafted wines representing the age-old Italian style traditions and skills of passionate winemaking.